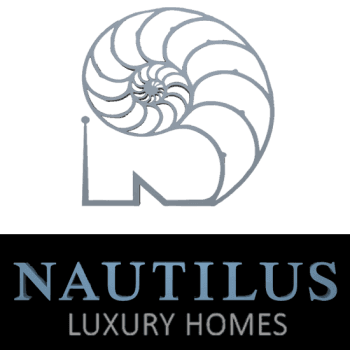 Welcome to Nautilus Luxury Homes. The pinnacle of luxury home builders, Nautilus offers a distinctive and individualized experience. We’ll help you realize your dreams, while at the same time turning the building process into a truly effortless discovery of what your custom luxury home should be. Our unrivaled level of refinement is the answer to your uncompromising taste. You are the most important to Nautilus. We start the process of achieving your custom luxury dream home by asking you to share with us your vision, your desires, and your needs: from the interior to exterior, roof to landscaping, down to the smallest details. We’ll also ask about past homes you’ve lived in; what you enjoyed / disliked about those homes. The past, consciously and subconsciously, informs our future choices of where we live, and how we live. Our ongoing discussions with you, will help us shape your dream home into reality. In addition, if you’ve saved magazine clippings, bookmarked images on Houzz or Pinterest, and have gathered other sources of inspiration that will inform us of your favorite color palettes, architectural styles, textures and more, please share! The more information we have about the lifestyle you would love to live, the better able we can bring your custom luxury home to life. We’ll also present you with ideas and luxury home floor plans, and already built custom home samples. As well, we can help you with location siting, if you haven’t yet found the ideal locale for your new home. Nautilus Luxury Homes was founded on the principle of building the highest quality in custom luxury homes, while providing the highest levels of personalized service. Nautilus Founder Ryan Johnson’s passion for meticulous planning, and desire to provide an unparalleled experience to his clients, was influenced by his father, a kitchen and bath designer who paid close attention to detail, and used only the finest materials in his work. “Being a very detailed oriented person, I loved seeing the craftsmanship that goes into a beautiful home,” Ryan says. 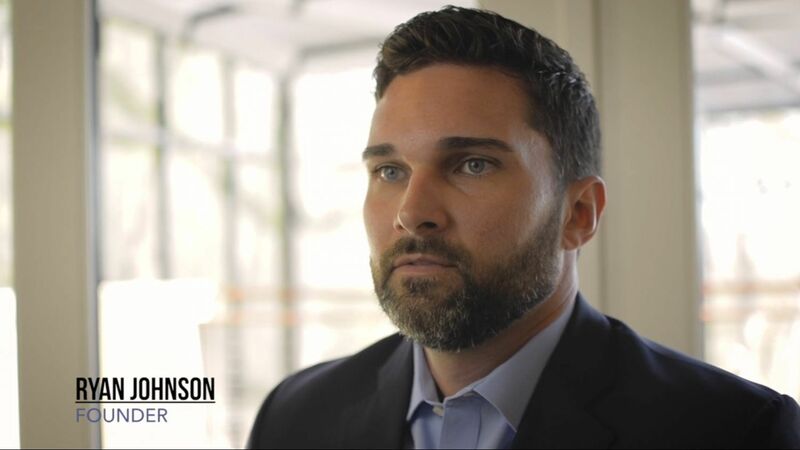 “I also learned that I cared deeply about the client.” Ryan began building homes out of college, and his later experience as a Realtor, coupled with a lifetime in fire service, helped hone the aesthetics and quality Nautilus Luxury Homes applies to its custom home design-build process. ‘That's a Nautilus home.’ "
To have a custom luxury home built on schedule, within budget and with only the finest details and quality materials is the ultimate goal of any homeowner investing their hard-earned capital with a custom home builder. However, many people are used to the traditional design-bid-build process, wherein the homeowner becomes the middleman between architect / engineer and contractor. Inefficiencies in this type of building process can lead to budget overruns, delays in construction, and disagreements between the various contracted entities. The process for design-build is a much more established path for homeowners allowing a clear path to success and completion. This process is one that has been established with best practices according to the Design-Build Institute of America (DBIA) which we ascribe to. This ensures you are receiving a true Design-Build process from a custom home builder. Nautilus Luxury Homes specializes in luxury home renovation and custom outside spaces to include docks. To achieve the highest quality results, the Nautilus Luxury Homes team conducts in-depth consultations with clients to plan their project. Detailed plans and a realistic budget are achieved after our key specialists meet with the client to gather all pertinent information and get a clear scope of the project at hand. As with our luxury custom home builds, the client is kept informed of every step during the luxury home renovation process. Our project manager, designers and craftsmen work with the client to achieve exceptional results with the highest level of service. Finding the perfect site to build your custom luxury home can sometimes be more difficult than the process of planning and building your home. Nautilus Luxury Homes can ease the siting process, and help you find the perfect location to build your luxury dream home. Our decades experience in construction and building gives us insight and connections to land realty professionals that enable us to know what properties are available, and when they’re on the market. Our key connections also give us access to unlisted properties, enabling us to help you acquire premium land on which to build your luxury custom home. There has been a lot of talk lately about folks worrying their new home is built too tight. The story goes something like this. A couple saves their money to build their dream home and they find a custom builder who specializes in building “tight” homes. (The benefits being energy efficiency and improved air quality.) And because this is the new way to build homes, the incremental cost increase is just that-incremental. Unfortunately, they soon discover “because the home is so tight” mold is growing, the air is stale and the kids are starting to get sick! So what gives? At Nautilus we understand there is virtually an unlimited number of questions you can ask your builder when interviewing them for construction of your renovation project or new home. At the end of the list, what you will learn is that Nautilus is the only builder in Savannah that will give you what you want most: Price Security, Schedule Security and a good warranty. Easy. All day long. At Nautilus, we think every project should finish on budget. Isn’t that what the contract price is for? Allowances are simply another way of spelling change order and since those are a disaster for everyone, we don’t do allowances. And since most folks agree it’s kinda hard to guarantee the price of something if you don’t know what the item is, we ask you to make timely decisions. If you don’t make the selection, we can’t price it and it is not included. But once you make your selections, we can price them, include them and guarantee the price 100% no exceptions. Fair? Nautilus Homes would like to share with you a glimpse of how technology is shaping the way that leading edge custom home builders will be doing business in the 21st century. According to constructionworld.org there are “3 Tech Predictions” that are already being adopted into the industry and we think you may get a “kick” out of them… or at least a good laugh! At a minimum, we hope you enjoy them. Drones will and are already making an impact through improved project evaluation via aerial surveys and building surveillance. Rather than paying for security personnel, drones are able to take its place, saving companies time and money. Drones can also be used for collecting images that contribute to virtual reality or augmented reality versions of a physical place. Aside from its on-site benefits, drones can be extremely useful in the pre-planning stages, even before a shovel hits the ground. It has always been the Nautilus way to save our clients valuable research time, so we have scoured the web and asked the experts what this year’s hottest design trends will be. From Forbes, to House Beautiful and Remodeling magazines, to Consumer Reports, and lastly, Houzz and Trulia, this is the best of the best for the year ahead. Enjoy! Stainless Steel is out and Brass is in! Whether its appliances or hardware, say goodbye to the shiny metal finishes of the 80’s and the stainless steel of the last ten years. - Polished or satin brass and bronze knobs, knockers, pulls, and faucets are back in a big way. - Matte-finish appliances in dark hues bring an element of drama into the kitchen. In Parts 1 & 2 of our series, we discussed strategies to protect your home from rising water due to flooding or storm surges and from water penetration through the roof and walls respectively. This third segment is dedicated to safeguarding your home from wind damage that occurs with +100mph winds by looking at 3 critical components. A remodeling project is an exciting and important endeavor, and Nautilus Luxury Homes wants the process to be as smooth and enjoyable as possible. That is why we provide each of our clients with access to a secure website with all of the details of their project. Whether you are at home, at work, on the road, or on vacation, Nautilus Luxury Homes puts information at your fingertips about your selections, upgrades, financial decisions, questions, documents, photos, and more.